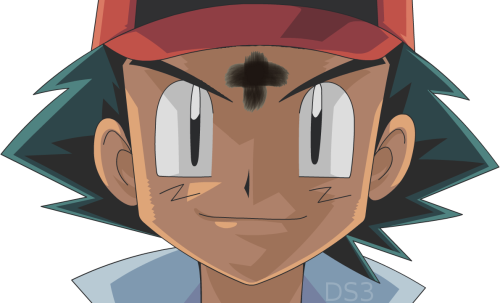 It's Ash Wednesday, and Ash Ketchum is one of those prototypical heroes who sets off on an important quest. We too are called to set off on an important journey this Lent. When I was at Mount Angel seminary, I had the great blessing of picking up a second major in Literature. As a literature major I encountered a great variety of different types of stories. Possibly my favorite type of story, was the heroic journey. And we have great examples of heroic journeys in literature, as well as other media such as plays and film – right? There's the Odyssey or the Lord of the Rings, or movies like, the Wizard of Oz, or Goonies or Finding Nemo. Even Ash Ketchum of Pokemon fame fits the mold for a hero who sets off on an important journey. Each of these tales all involve a hero, or a group of heroes setting off on some journey, with some hopeful outcome. Some heros journey on in hopes of returning home, others for some long sought treasure, and others still to be reunited with their beloved. Why am I sharing this with you on this Ash Wednesday? Because I am inviting you to envision Lent as this type of Journey. Now, at first it might be hard to conceive of a season like Lent as a journey. I know that for me, growing up, such a task would be difficult. Growing up I always saw Lent as a period of punishment or a period of suffering. And some times that's the type of image we might get when we just think of all the laws and regulations, and the lack of flowers, and the giving up of stuff. Even the color purple just seemed less joyous to me, it was as if this was the time of the year the Church said, okay, let's take a time out from being happy people. We aren't even allowed to sing the A-word during the season. And so for such a long time that was my sole image of Lent - okay here comes the 40 day timeout. Maybe you have a similar image. And don't get me wrong. I know, Lent is a penitential season, and that is the reason we have the color purple. Yes, it's a season where we are invited to a deeper conversion, a season where we are asked to give up stuff so that we might deny ourselves and become better people. All beautiful things, the problem was. For me a lot of times that's where it ended - with me, and my conversion, and what I was giving up, and how great of an accomplishment it was that I could get through another 40 days without video games. I never saw Lent as something as beautiful or powerful as a heroic journey. That is the journey we are on. We are on a return trip to Christ. We journey towards the joy of Easter. That's our purpose. That puts meaning behind everything that we do during this season. The prayer. The Fasting. The almsgiving. They mean nothing, without Jesus Christ. This is what our gospel reading teaches as well. It warns us to not engage in pious acts like prayer, or fasting or almsgiving, for the sake of ourselves, or even the sake of others. We should do them for God, and with eyes set on heaven. Because otherwise, our journey will end, and we will be left with nothing, but earthly rewards. But if we journey towards heaven, with our eyes set on the prize of Heaven, there we will find our eternal reward. The fact is the Church in her great wisdom, allows us to enter into a season like Lent so that we might more fully set our eyes on that prize that Christ offers. She gives us this time so that we might desire Christ more. For instance, some of us may have given up chocolate for lent, or maybe we have given up meat for the entirety of Lent. And since yesterday was Fat Tuesday, maybe we had a whole bag of Kit Kats, or a double bacon cheeseburger. Maybe just imagining back to yesterday, we can still vividly remember how great it tastes. And through these 40 days, that memory of that taste of chocolate, or taste of cheeseburger remains with us. Maybe we will begin to desire it more and more each day. And maybe soon, maybe even now, we will long for that oh-so-glorious day that we can only taste the crisp chocolatey goodness of a Kit-Kat, or the delicious succulence of an In-n-Out Double Double cheeseburger. If only we desired Christ with such longing. Now, I mentioned the A-word earlier, right? And so yesterday was the last time any of us were able to sing the A-word until the Easter Vigil. But the point isn't to deprive of us something good. It's not like the Church is saying, bad sinners, no A-word for you! No, what it does, is it causes us to long for singing to God with such praise again. That on Easter, the A-word will have a deeper fuller meaning, that we would want to shout to the heavens because our savior has conquered sin and death. Is that something that we crave, to sing A*****IA at the top of our lungs? Maybe it should be. Just like our last kit-kat, or that last bite of cheeseburger, we all have had some lasting taste of God's great Joy, and because of this taste we should grow in deeper desire for him day by day. This desire is written on our hearts. And for that reason we journey toward being reunited with Him. Because the joy of Easter far surpasses the joy of a candy bar or cheeseburger. Eye has not seen, ear has not heard, what God has ready for those who love Him. Today, on Ash Wednesday each of us has had or will have the opportunity to be marked with Ashes. We are reminded that we are dust and to dust we shall return. It is a reminder of the reality of our own Death. It's interesting to note that we find these words in Genesis Chapter 3. God speaks them to Adam, after our first parents sinned and broke away from God. You might say that these words occurred at the very beginning of our Journey back to God. And in this reminder of our own Death, we are reminded of the consequence of sin. And so like the heroes in those literary journeys who have to overcome temptations and evils so that they can reach their desired destination. So must we. And in Christ we find the perfect example to follow. In the coming weeks we will hear the story of Christ's journey to resist temptation, to conquer sin and death, and to return home to the Father. Even on the Cross, our Lord's eyes, were turned to the Father with love and trust. And so must we in this season of Lent follow after Christ on our Journey home to Heaven. And the life to come eternal. But a greater trust in your goodness. To the endless joy of heaven. Grant this through Christ our Lord. Amen. For the entire Universal Prayer of St. Clement click here. And so in these next 40 days when you start craving that snickers bar, or that video game, or that piece of bacon, remember we should crave Christ more.